Why Are Probiotics in My Hand Sanitizer? I recently noticed that the alcohol-based hand sanitizer I buy now contains probiotics. Does this make the product more effective? It’s hard to tell. Alcohol-based hand sanitizers claim to kill 99.99% of the bacteria on our hands. Probiotics, of course, are the beneficial bacteria that are introduced into the body (typically via the gut). These “friendly” bacteria help offset the harm from disease-causing bacteria and other pathogens. A hand sanitizer that contains probiotics is formulated to kill harmful bacteria while protecting beneficial bacteria, according to one manufacturer. How it works: Almost all germs on your hands—both good and bad—are destroyed by alcohol (or by some other antibacterial product) in hand sanitizer. With the use of a new encapsulation technique, the manufacturer has devised a way for the hand sanitizer to protect the good bacteria by “walling them off” so that they are not destroyed by these active ingredients. After the freshly applied hand sanitizer has evaporated, the encapsulated probiotics “break open” and recolonize your hands with beneficial bacteria, according to swab tests done by the manufacturer. However, I would be skeptical of any manufacturer’s claim that this new encapsulation technology actually allows good bacteria to repopulate the skin. There are hundreds of strains of bacteria that colonize on our hands, and we don’t know which ones are being preserved via this process. Even so, the normal skin flora of the hands is more complex than previously thought. The manufacturer must prove that the correct strains have been chosen to repopulate the hands and that these would not cause any harm to people, including immunosuppressed individuals (such as those receiving chemotherapy). My takeaway: Studies on this new technology need to be published in a peer-reviewed journal before any sound conclusions can be made. Strong research confirms that hand washing with soap and water is the best way to remove germs. According to the Centers for Disease Control and Prevention, soap and water are more effective than hand sanitizer at removing common pathogens, including those that cause common gastrointestinal ailments, such as Cryptosporidium infection, norovirus and Clostridium difficile (all three of which are not killed by alcohol)…rhinovirus, which causes about half of the cases of the common cold…flu viruses…and even certain superbugs such as methicillin-resistant Staphylococcus aureus (MRSA). Don’t make these mistakes: To ensure that you don’t expose your hands to germs after washing, don’t touch the faucet with your bare hands. Instead, use a tissue or paper towel to close it and to open the door when exiting the bathroom. Also, if there are automatic dryers available, don’t hit the edges of the device when drying your hands. 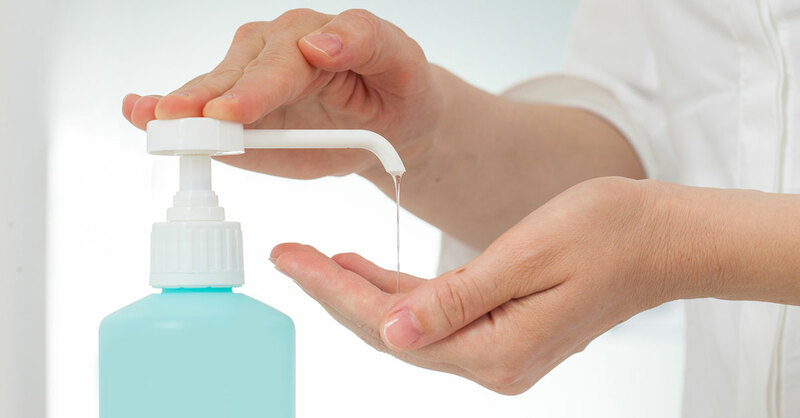 If you have no access to soap and water, using an alcohol-based hand sanitizer that contains at least 60% alcohol is an effective way to kill most bacteria, viruses and other pathogens on your hands. Apply hand sanitizer (a quarter-size dollop) to the palm of one hand, then rub it all over both sides of both hands until the alcohol evaporates and your hands feel dry.